When the site is installed, there are only 5 default countries present with only 1 city in each country: Germany (Berlin), Spain (Madrid), France (Paris), United Kingdom (London) and United States (New York). 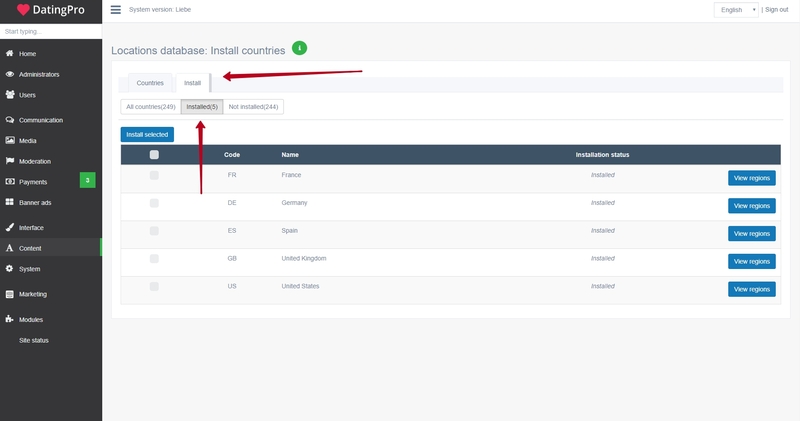 In order to install all other regions for these countries, go to the admin panel -> content -> countries. 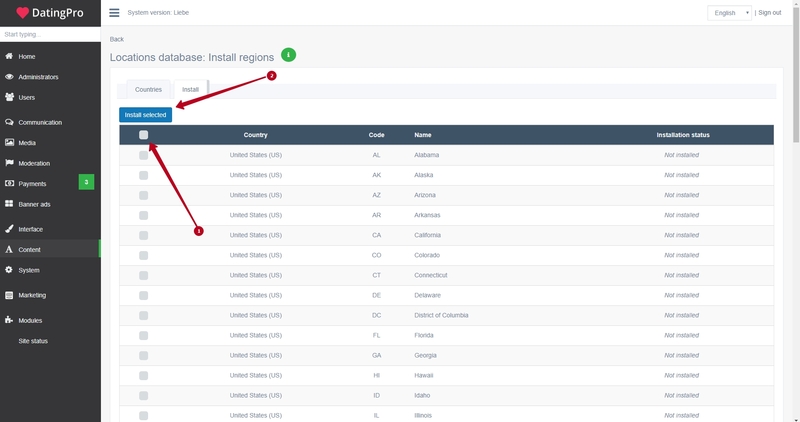 Then click View regions and you will see the list of all available regions. 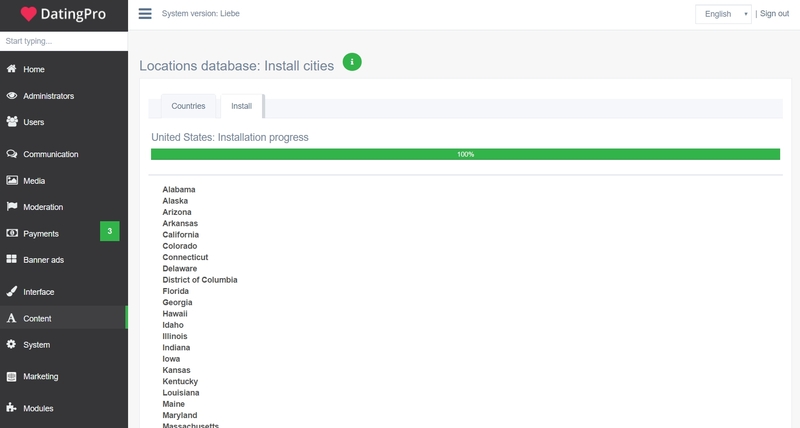 Check the top box to select all regions and then click Install selected button to start the installation. Don’t close the page until the process hits 100%.